More information: There are few bands that can or will match Sweden’s OPETH. 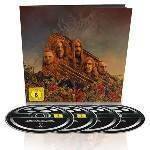 Since forming in the tiny Stockholm suburb of Bandhagen in 1990, the Swedes have eclipsed convention, defiantly crushed the odds, and, most importantly, crafted 12 stunningly beautiful, intrinsically intense albums to become one of the best bands on the planet; whether that be live or on record. 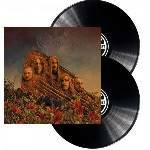 Certainly, every OPETH record has had diversity. In 1995, ‘Orchid’ reset the rules of death metal. Six years later, ‘Blackwater Park’ hit the high note for musicality in a genre generally devoid of it. ‘Damnation’, in 2003, was the work of a band determined to upend the norm. Five years after that, ‘Watershed’ closed OPETH’s chapter on death metal by visiting its darkest corners and holding its native brutality aloft. And in 2014, ‘Pale Communion’ officially bridged the progressive music gap by twisting the intrepid sounds of ‘60s, ‘70s, and ‘80s into contemporary brilliance. For 12th album ‘Sorceress’, OPETH returned to Rockfield Studios in Wales, where the Swedes had tracked ‘Pale Communion’ with Tom Dalgety. The experience was positive and historical - the countryside studio was also home to pivotal BUDGIE, QUEEN, RUSH, JUDAS PRIEST, and MIKE OLDFIELD recordings - there really was no other option for OPETH and crew. Mainman Mikael Åkerfeldt’s was very aware of what the masses have had to say about the band since ‘Watershed’. While some disliked the musical shift on ‘Heritage’, most have applauded it. They’ve come to expect something new from the Swedes. 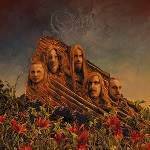 True to form, ‘Sorceress’ gave long-time fans and weary critics reason to re-think OPETH and what it takes to be musically fearless. Luckily, for Åkerfeldt and crew - bassist Martín Méndez, drummer Martin Axenrot, guitarist Fredrik Åkesson, and keyboardist Joakim Svalberg - have not been in a better band situation before. This unity is re-inforced when the band plays live with Metal Hammer recently crowning them “the reigning kings of progressive music” while Kerrang! insist they are “one of the most peerless bands of our time”. 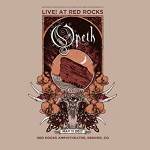 For proof, check out this live concert filmed in the magnificent surrounding of Red Rocks Ampitheatre.